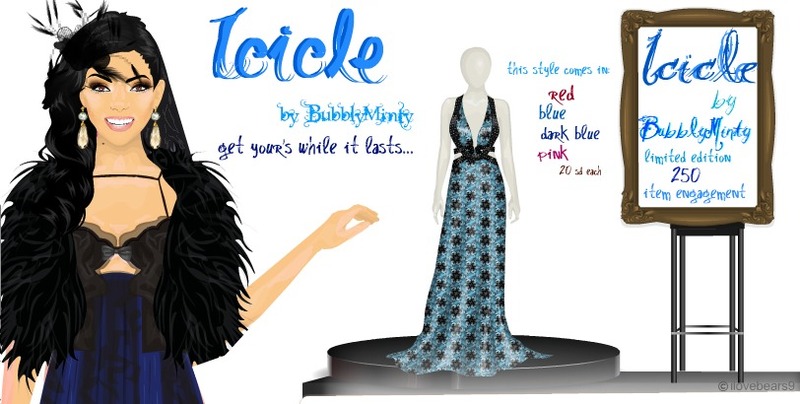 Check out this GORGEOUS limited edition design collection by MDM's and my friend Jenny (BubblyMinty)! You may know her as a writer for Memoires Of A Medoll (click HERE to check it out). I just bought a dress from the collection and I absolutely love it! If you want one, you should hurry because she is only making 250 of them - this is not something you wanna miss! I had the chance to chat with her, and she said this beautiful and intricate design was an error - but I think it came out great! Click HERE to go to her suite and pick up one of these elegant and whimsical dresses for yourself before they are sold out!